Quick Tip: For the fastest rate on life insurance with Crohn’s disease contact us at 1-888-393-9003 or run instant quote. Use regular risk class to start your search. Can I get affordable life insurance with Crohn’s disease? For individual’s that suffer from Crohn’s disease, life insurance may seem at first to be unattainable. Fortunately, for those looking for life insurance with Crohn’s disease you have come to the right place. We understand the difficulties of finding affordable life insurance with Crohn’s disease. We know which companies specialize in underwriting the best life insurance with Crohn’s disease. When underwriting life insurance with Crohn’s disease, it is first important to get as much medical information up front from the insured. It is best to be totally honest about your medical history. The more information we can give to the underwriter’s the better rate you possible can secure. This is the best way to proceed with finding the most affordable rates for life insurance with Crohn’s disease. You will no longer have to try contacting agent after agent to try and find affordable life insurance with Crohn’s disease. 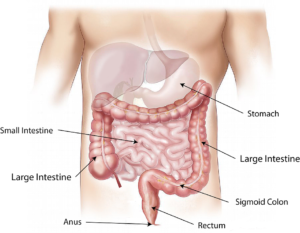 What information is needed to find life insurance with Crohn’s disease? History of any major weight loss? Tobacco use? If yes, what type? Exact name of diagnosis (I.E. granulomatous colitis, regional entertitis, terminal ileitis, etc.)? When was condition first diagnosed? Single episode, recovered without complications? Have you had an operation for this condition or is an operation being considered? If operation, type of surgery and when was surgery completed? If surgery, have you had or experienced any problems or complications following surgery? Details of any medications current prescribed including name, dosage/frequency? Any other medical history or hospitalizations for other conditions? Any history of taken steroids? Have you lost in time away from work due to this condition? Do you routinely exercise? If so, what type? Family history? Any immediate family history of early death before age 60 from heart disease or cancer? It is best to discuss your situation with us to determine the best plan of action depending on your needs. Remember, we are here to assist you in securing the absolute lowest rates available for life insurance with Crohn’s disease. With over 30 years experience in the special risk marketplace we know which carriers to talk to about life insurance with Crohn’s disease.